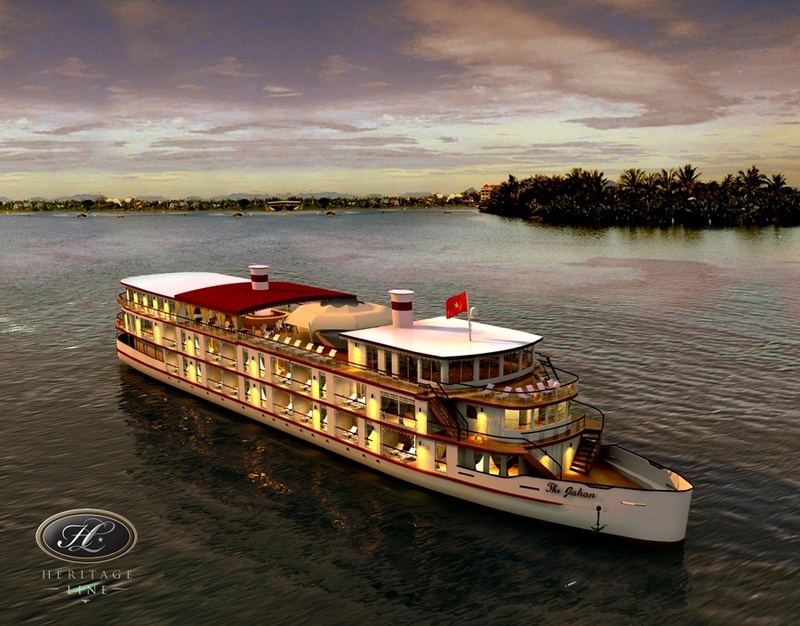 MANY of the mysteries of Asia's mighty Mekong River can be explored on a specially discounted voyage with cruise specialist ecruising.travel from Ho Chi Minh City to Siem Reap aboard the privately chartered vessel, The Jahan. A superior stateroom with balcony on the 2013 voyage is now priced from $4399 per person twin share, if you book before April 30. Departing Australia on September 18, the 13-night itinerary begins with a stopover in Singapore staying at the Shangri-La before flying to Ho Chi Minh City in Vietnam. Spend two days sightseeing including a guided tour of the famous underground Chu Chi tunnels. Travel to My Tho to board your chartered vessel, The Jahan, for a seven night cruise up the Mekong River to Cambodia. The Jahan offers the boutique service of private shore excursions or the choice to explore port stops at your leisure. Disembark in historic Siem Reap for three nights at the Raffles Grand Hotel d'Angkor, which includes a full day tour of the Angkor Wat complex. The price includes return economy airfares from all Australian capital cities with Singapore Airlines, six nights' accommodation at deluxe hotels- including the Park Hyatt in Ho Chi Minh City- with daily breakfast, seven nights cruise accommodation in a deluxe stateroom with balcony and full board, private shore excursions with a cruise concierge, traditional entertainment, comprehensive sight-seeing with an English speaking guide including entrance fees, all transportation and transfers and port charges and government taxes.